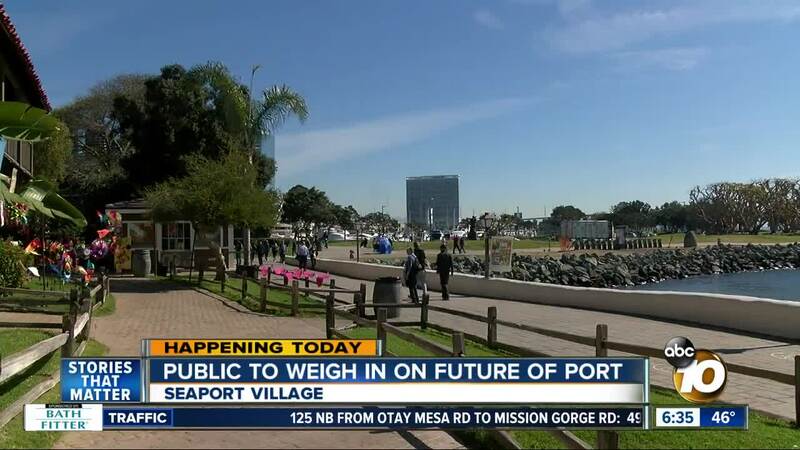 The public will be allowed to weigh in on what could come next for Seaport Village. SAN DIEGO (KGTV) - The Port of San Diego is asking San Diegans what they would like to see fill the Embarcadero. Two board workshops are planned for 10 a.m. on Tuesday, Feb. 12, and at 10 a.m. on Monday, Feb. 25, at the Port of San Diego administration building (3165 Pacific Hwy, San Diego, CA 92101). The Board of Directors workshops are part of a series of public events that first started in 2017 in an effort to include public feedback in future Port projects along the Embarcadero. The Embarcadero, known as “San Diego’s front porch,” includes the USS Midway Museum, the Maritime Museum, Seaport Village, and more. Seaport Village has been a hot topic when it comes to revitalization of the Embarcadero. Currently, there are more than a dozen vacant storefronts at Seaport Village. The Port could spend approximately $2.3 million to try revitalizing Seaport Village in an effort to bring more tenants and business into the area. The Port’s Board of Directors is expected to hear the $2.3 million revitalization proposal Tuesday. If the Board shows interest in that proposal, a formal proposal could come back in April.